This plugin for Adobe Illustrator connects two or more selected paths into one continuous path. You choose how close the endpoints must be to combine the paths, how many degrees from tangent the endpoints must be, and how close to tangent joined curves must be to be smoothed into a continuous curve. The plugin also includes Assimilate, which will search out unselected paths that are within the distance and angle you specify, and concatenate them to a selected path. Quickly clean up vector art to create smooth transitions from one segment to another. With only a click, make a segment straight or curved, blending seamlessly into the adjacent segments. Adjust the control handles of Bezier curves, keeping them tangent to their smooth anchor points. Drag a path to another to assimilate them with a smooth connecting segment. Drag a selected anchor point to move it, constrained to the path’s tangent angle, even if it’s under other art objects. And much ore! Nudge Palette is a plugin for Adobe Illustrator that allows you to adjust the position of an art object, patterned fill within an object or dash pattern along a path. Clicking the arrow buttons will move the dash or pattern by one point. Holding down combinations of modifier keys will make the distance moved longer or shorter. Click the “Untransform” button to reset a dash or pattern to its default setting, also removing any transformations such as scaling, rotating, etc., that may have been done earlier. This plugin will convert a selected path’s anchor points to corner points, and adjust the path segments so that lines within 20 degrees of perpendicular will be made square to each other. Use keyboard shortcuts to make quick work of an otherwise tedious task when cleaning up technical drawings, schematics, and diagrams. Along the current constrain angle. Along the dominant axis within the selection. All control handles retracted into the anchor points for straight lines with corner points. Requires Adobe Illustrator CS3 through CC for Mac or Windows . Hatchet tool: Click to use like the Scissors tool, except that it will cut through all paths at that point, not just the top path. This makes it perfect for cutting two lines where they cross. 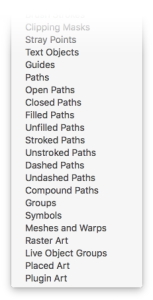 Hold down the Option key to cut through only selected paths. After cutting, you can drag the tool over the unwanted paths to delete them. Table Saw tool: Click and drag to create a straight line. When you release the mouse button, the Saber Saw will do a fence cut through all paths that cross the one you drew. Saber Saw tool: Drag the tool to draw a free-form line. When you release the mouse button, the Saber Saw will do a fence cut through all paths that cross the one you drew. Vector Vac tool: Either click on paths or drag through them to delete. ToolShed is a collection of utility functions accessed through menus in Adobe Illustrator. Stabilized Pencil tool adds a “leash” to a pencil tool to smooth its travels similar to Photoshop’s smoothed brushes. Create corners where you want them and draw smooth broad strokes with ease. Choose your leader length and path smoothing settings. Offset Open Paths offsets an open or closed path; open paths offset as open, not closed! Use a dialog or tool to offset one or many copies on one or both sides of the target path. Tangent Arc tool draws circular arcs that are tangent to another path or smoothly continues a path at the angle of its endpoint. The extent of the arc can be very small or nearly a full circle. Press the Alt/Option key to draw a tangent straight line, or press Shift to constrain its angle to increments of 15 degrees. Latitude Lines creates a series of parallel lines distributed as though they were evenly spaced and wrapped around a cylinder (or globe), with live preview. Create a Radiant, or a group of lines fanning out like a pie chart at equidistant angles, with live preview. Unscale art will figure the inverse of a scaling factor to restore objects to their original size (or at least very, very close). Scale Proportionally scales art relative to two given values. Scale Stroke Weight will scale the line thickness of selected paths without scaling the art itself. Minimum Stroke Weight will find all paths with a stroke thinner than your minimum and set the width accordingly. ToolShed requires Adobe Illustrator version CS6 through CC on Mac or Windows. ServerLock is a plug-in for Adobe Illustrator that warns a user when opening a file on a shared server that’s already being edited by another user. It creates a small lock file (*.ailk) when editing a file, and is referenced by other users to recognize a file already being edited, allowing them to respond accordingly. The plugin can be enabled or disabled by selecting the menu item File > Enable/Disable ServerLock. ServerLock requires Adobe Illustrator version CS6 through CC on Mac or Windows. Easily draw straight paths at isometric angles, or at axonometric angles for a projection you specify by double-clicking the tool icon. Also includes an axonometric mover tool to easily move selected art along any axis. If you use Hot Door’s awesome CADtools plugin, you can define your axonometric settings there and IsoTool will adjust accordingly. IsoTool is free for Illustrator CS6 through CC on Mac or Windows. For Adobe Illustrator CS6 through CC. Save over purchasing individual licenses. One license enables all Illustrator plugins listed here, and the CS6-CC version includes unannounced plugins now in development.